Should you avoid gluten? Read on to understand what's best for you. The answer for 99% of Americans is NO. Gluten-free is NOT a weight loss diet. It’s an elimination diet specifically intended for the 1% of Americans who have the autoimmune disorder, celiac disease. It also helps people with non-celiac gluten sensitivity. Most people don’t even know what gluten is yet they believe it’s as detrimental to their waistline as Twinkies. Gluten is a protein found in many grains like wheat, rye, barley, oats, and triticale. Examples of foods with gluten include pastas, breads and cereals. Gluten has a glue-like effect that holds foods together and helps maintain their shape. 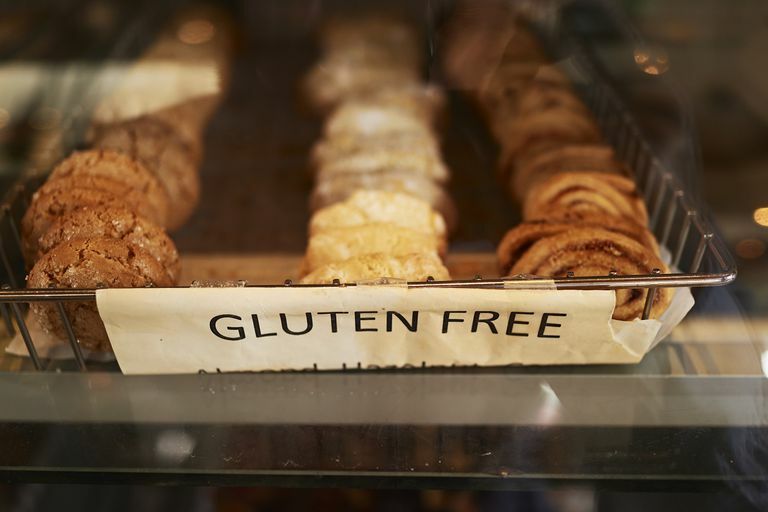 Gluten isn’t bad for you unless you have celiac disease or non-celiac gluten sensitivity, where gluten acts an irritant so a gluten-free diet would actually provide relief to the body. Celiac disease is an autoimmune disorder where the body is so abnormally sensitive to gluten that the immune system reacts violently to it and damages the intestinal lining in the process. When a person with celiac disease eats even a tiny amount of gluten, the immune system attacks the small intestine. This causes chronic inflammation in the digestive tract and damages tissues which aid digestion. The damage interrupts the digestive process and prevents important vitamins, minerals and nutrients from getting properly digested and absorbed into the body. The most common symptoms of celiac disease are vomiting, abdominal pain, bloating, diarrhea, weight loss, anemia, and leg cramps after eating gluten. People with celiac disease need to know that it’s a lifelong condition and they need to strictly adhere to a 100% gluten-free diet to effectively manage their condition. The diet should be monitored by a doctor in order to prevent complications. Non-celiac gluten sensitivity, more commonly called gluten sensitivity or gluten intolerance, doesn’t cause an immune response towards gluten or damage the intestinal lining. However, people with gluten intolerance have similar symptoms to those with celiac disease, including bloating, abdominal pain, and diarrhea. Symptoms can set in a few hours or even days after consuming gluten. Some additional symptoms of this intolerance include non-intestinal symptoms such as headaches, difficulty thinking clearly, joint pain, and numbness in the legs, arms or fingers. Headaches and fatigue are most common. Celiac disease is one of the most commonly misdiagnosed diseases by doctors along with lupus, Parkinson’s disease, fibromyalgia, Lyme disease, and multiple sclerosis. It typically takes about 4 years for someone with celiac disease to be properly diagnosed. Early diagnosis is important as it helps prevent complications and other disorders. Their intestines become highly permeable and toxins, bacteria, and undigested food proteins seep through the gastrointestinal barrier into their blood stream. This can trigger complications and the onset of other autoimmune diseases. Symptoms of celiac disease mimic those of irritable bowel syndrome, Crohn’s disease, and cystic fibrosis. The presence of celiac disease can be diagnosed through blood tests, small intestine sample biopsies, and genetic testing. If you’re getting a blood test to check for celiac disease, don’t eliminate gluten from your diet beforehand as that could give a false result. In 90% of cases, blood tests can detect high levels of certain antibodies present in those with celiac disease. 10% of people with celiac disease have the antibodies present but test negative for them. Since people with non-celiac gluten sensitivity don’t have the antibodies being tested for in celiac disease blood tests, there are no current tests or markers to diagnose gluten intolerance. The best way to diagnose the intolerance as of now is by the process of exclusion. If testing for wheat allergy and celiac disease are both negative, your doctor may recommend a gluten elimination diet to see if symptoms improve. If they do, then it’s likely that you have gluten intolerance. Make sure your doctor oversees the entire gluten elimination diet and all other treatments for celiac disease and gluten intolerance. If you don’t have celiac disease or gluten intolerance, there is no benefit to avoiding gluten. The gluten-free diet promotes healthful foods like fruits, vegetables, rice, and corn. Since gluten is found in many mainstream snacks and processed foods, the mere act of cutting out these unhealthful calories will help you lose weight. However, there are gluten-free versions of nearly all foods on the market, from gluten-free cookies and cakes to gluten-free pizza and pasta. Cutting out the gluten does not make it any healthier for you as these gluten-free alternatives are just as chock full of empty calories as their counterparts containing gluten. If you think you have problem with gluten, you should see your doctor to rule out other serious illnesses and find the root of the problem. Your doctor will let you know if a gluten-free diet is mandatory for you and will monitor you through the process. If it’s not medically mandatory for you to avoid gluten, don’t waste your time, money, or energy on pricey gluten-free alternatives. You aren’t getting any health benefits by avoiding gluten itself. Gluten-free won’t help you lose weight or get in shape. If you’re looking to get healthier and lose weight, the Centers for Disease Control and Prevention recommend a healthy weight loss diet consisting of fruits, vegetables, whole grains, fat-free and low-fat dairy and lean meats like poultry, fish, beans, eggs, and nuts. Make sure to keep saturated fats, trans fats, cholesterol, salt and added sugars to a bare minimum or avoid them completely if possible. Most importantly, stay within your daily calorie needs to control your weight. A nutritious and well-balanced diet, sleep, hydration, a positive mindset, and physical activity are the most potent ingredients in the recipe for weight loss. AARP. 7 Commonly Misdiagnosed Illnesses. Fischer MA. Aug 2011. Beyond Celiac. What Is Non-Celiac Gluten Sensitivity?. Center for Disease Control and Prevention. Healthy Eating for a Healthy Weight. Cleveland Clinic. The Surprising Truth About Gluten-Free Food and Weight Loss. Kirkpatrick K. 15 Apr 2014. Institute of Food Technologies. Everything You Want to Know About Gluten. University of Chicago Celiac Disease Center. Celiac Disease Facts and Figures. Aug 2005. US National Library of Medicine. What Is Celiac Disease? Genetics Home Reference. What Sweeteners Can You Use When You're Gluten-Free? If You're Gluten-Free, Is It Safe to Eat Quinoa? Are Corona, Bud Light, and Michelob Ultra Really Gluten-Free? Is It Okay to Cheat on Your Gluten-Free Diet If You Have Celiac Disease?